Our online practice tests give everyone a user friendly simulation of the LEED Green Associate exam experience. It provides students with an opportunity to become familiar with green design principals. In addition, students receive feedback of their comprehension of sustainability principles with live scoring and explanations. 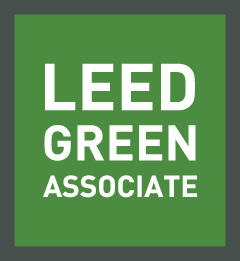 Our LEED Green Associate practice tests are a functional replica of the GBCI’s credential exam for the LEED Green Associate professional accreditation. The original LEED Green Associate practice tests trusted by thousands now updated for LEED version 4. You’ll receive access to 600 questions in our online learning platform written and evaluated by LEED professionals. Our LEED Green Associate practice exams are assessed by a psychometrician to ensure our practice questions evaluate the knowledge needed in order to pass your exam the first time. The LEED Green Associate Practice tests will ensure you have a thorough understanding of green buildings and LEED. [testimonial_content] => "GBES covered the concepts of the LEED program very well and gave me a complete picture of green building so that I wasn't just memorizing the words but understanding them. I would and have recommended the online exam prep to anyone who is preparing to take the Green Associate test. I passed the test the first time. Now on to the LEED AP!!!" "GBES covered the concepts of the LEED program very well and gave me a complete picture of green building so that I wasn't just memorizing the words but understanding them. I would and have recommended the online exam prep to anyone who is preparing to take the Green Associate test. I passed the test the first time. Now on to the LEED AP!!!" 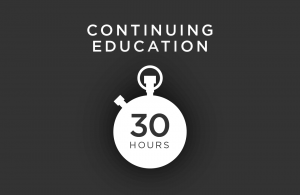 This LEED GA Exam Prep course includes products that can be accessed for 120 days in our online learning portal.